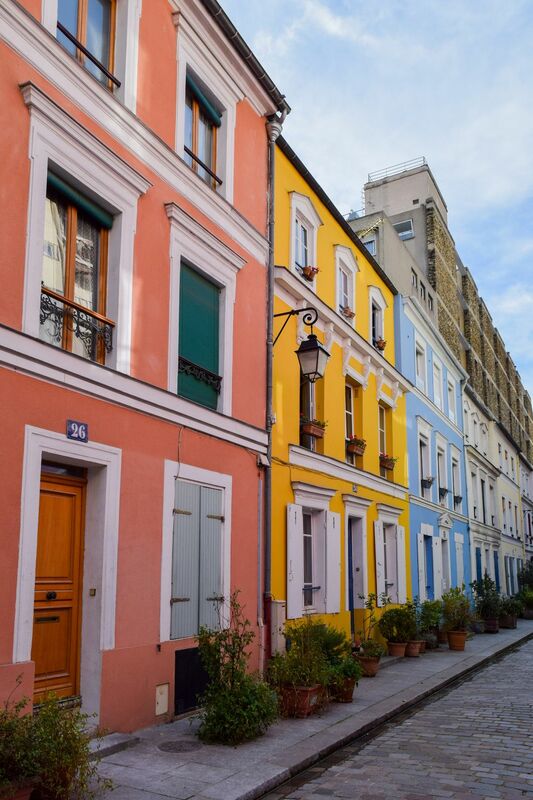 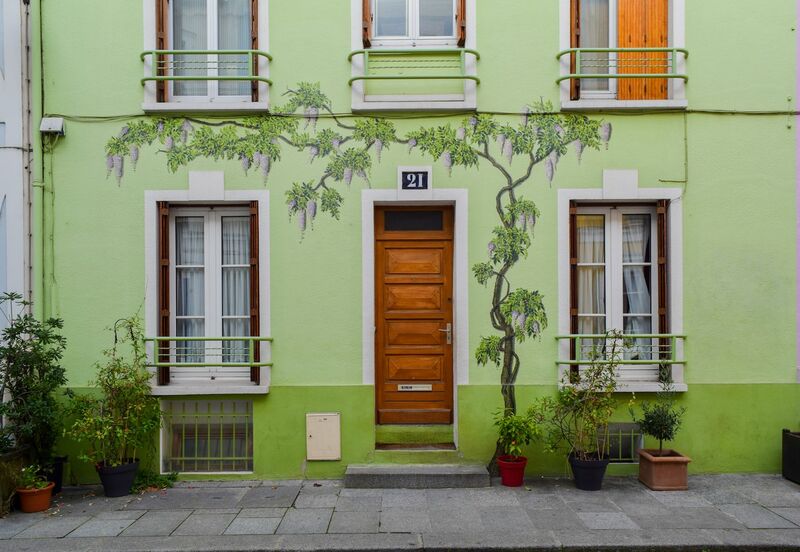 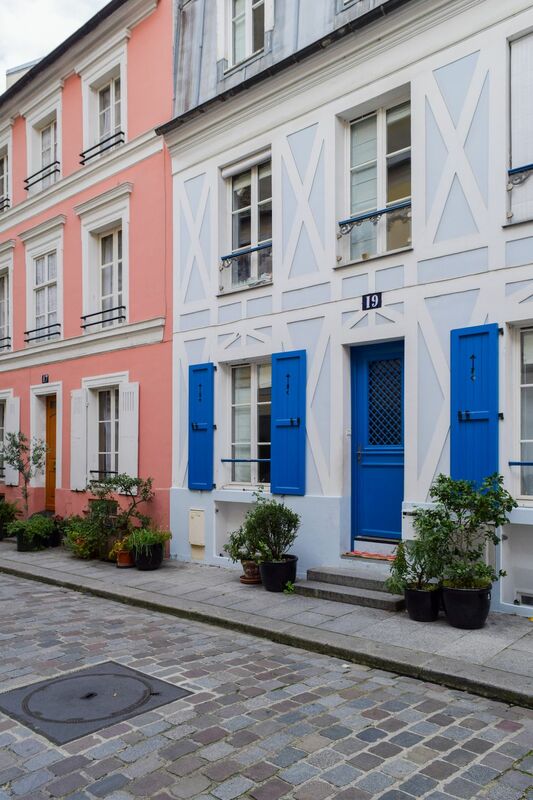 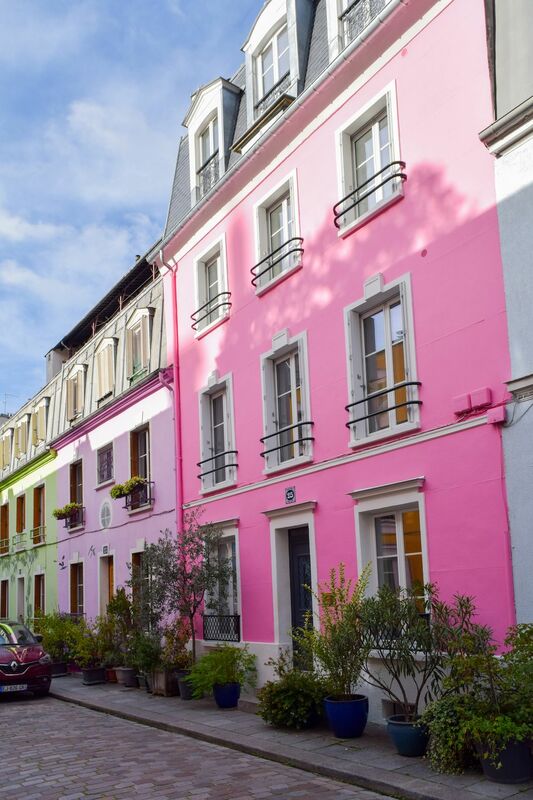 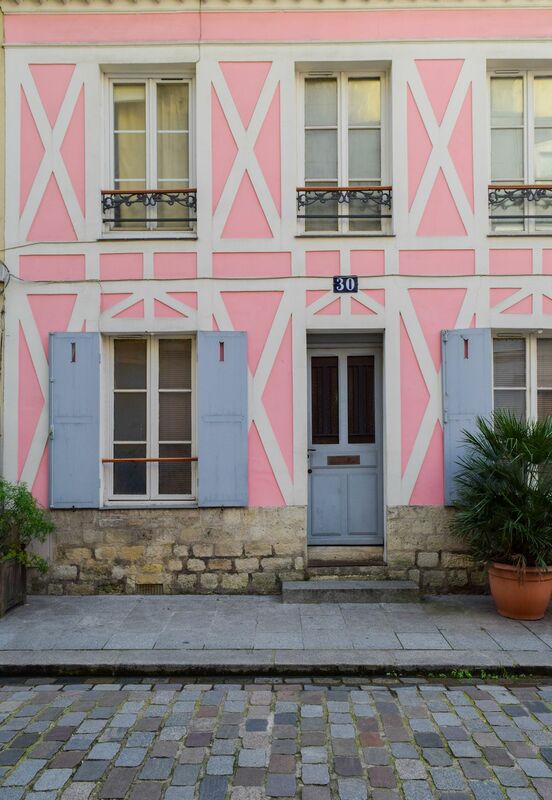 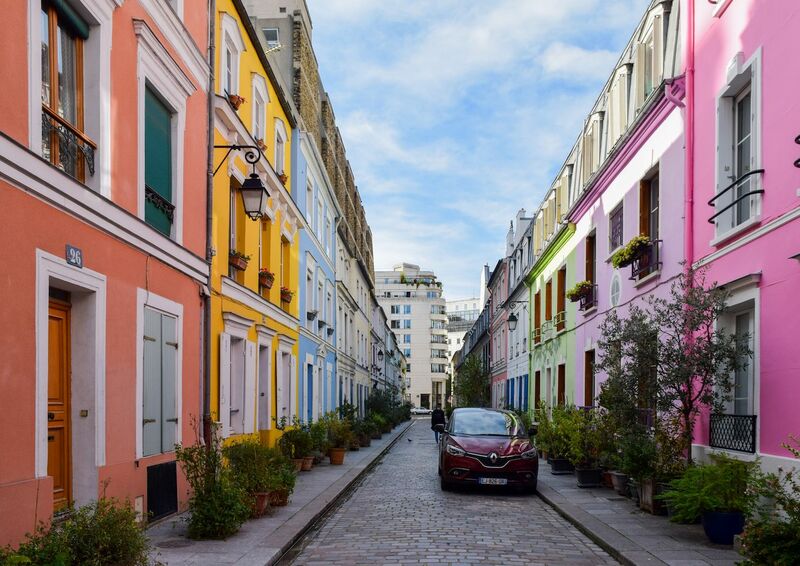 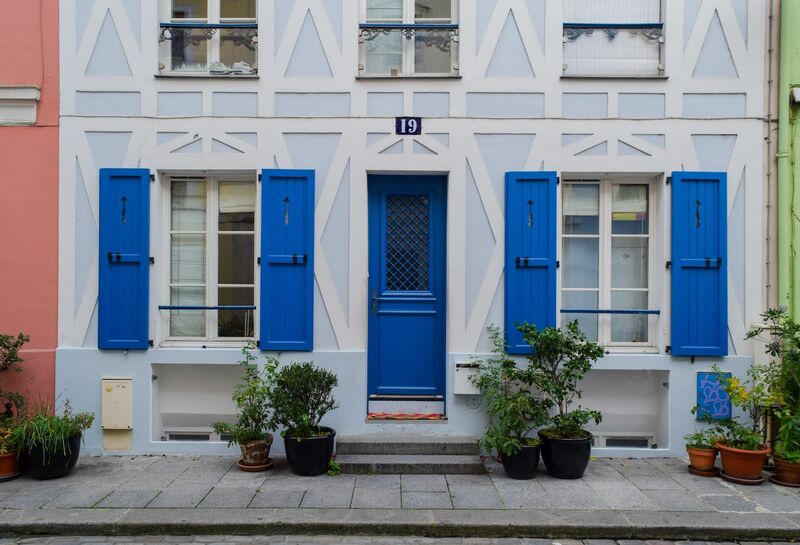 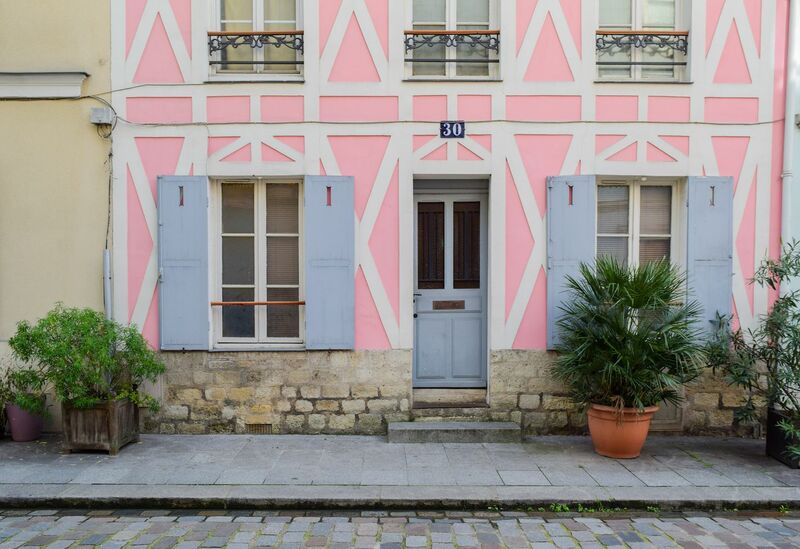 A few blocks away from the Gare de Lyon lies Rue Crémieux, arguably the most colorful street in all of Paris! 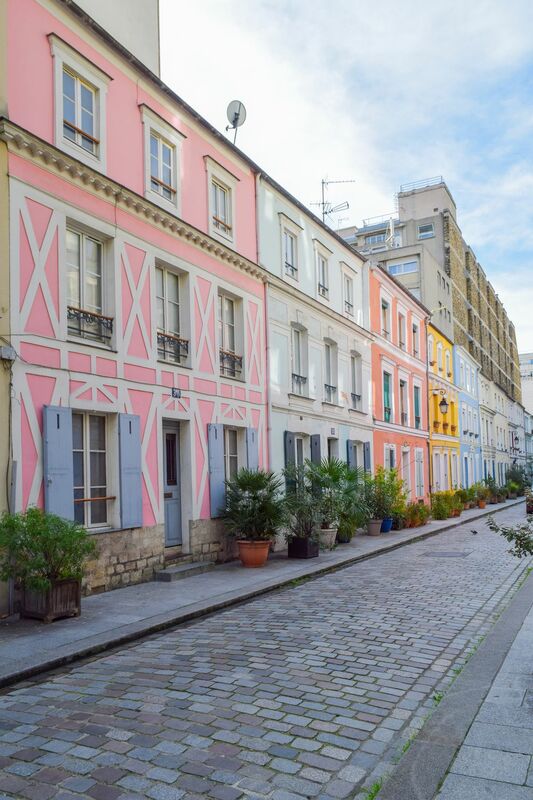 The street stands out amongst the sea of faded cream buildings that Paris is known for and even seems out of place at times! 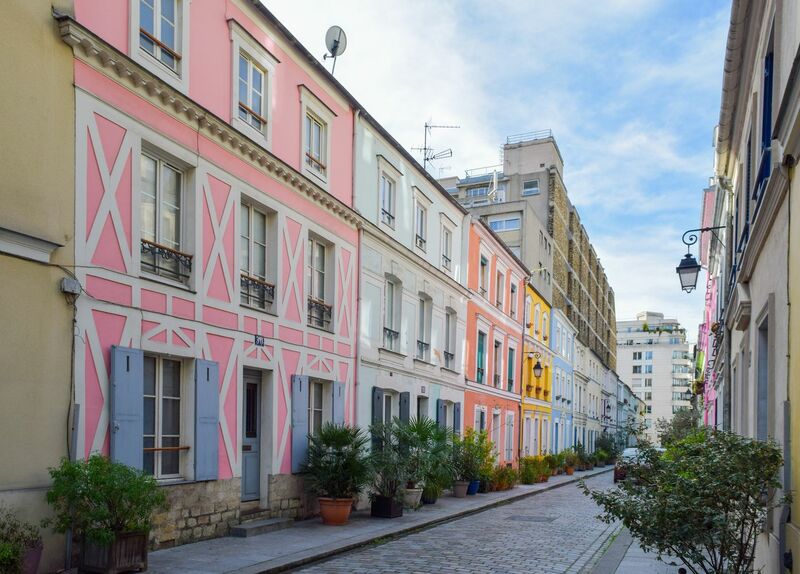 The brightly colored building facades look like they could belong in Notting Hill, London or even Menton, in the south of France! 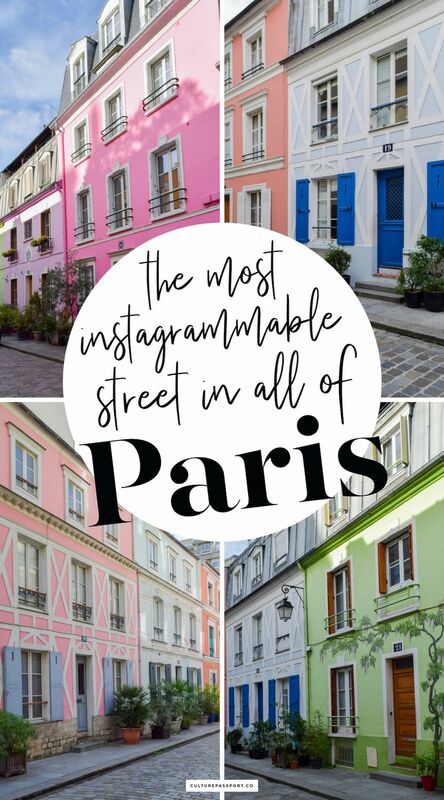 The cobblestone-paved street is actually residential and draws numerous visitors each afternoon due to its soaring popularity on Instagram. 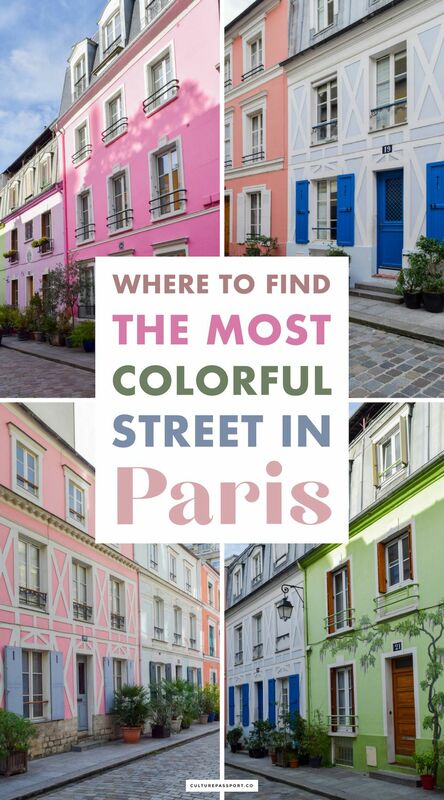 I recommend visiting in the morning for this reason! 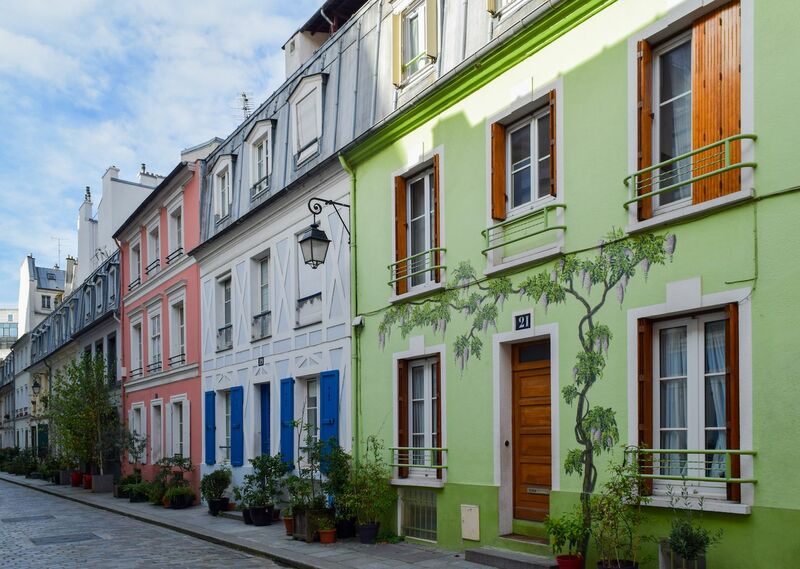 :) I love the little flower pots and plants which give the street a small-village vibe, despite being not far from the center of Paris! 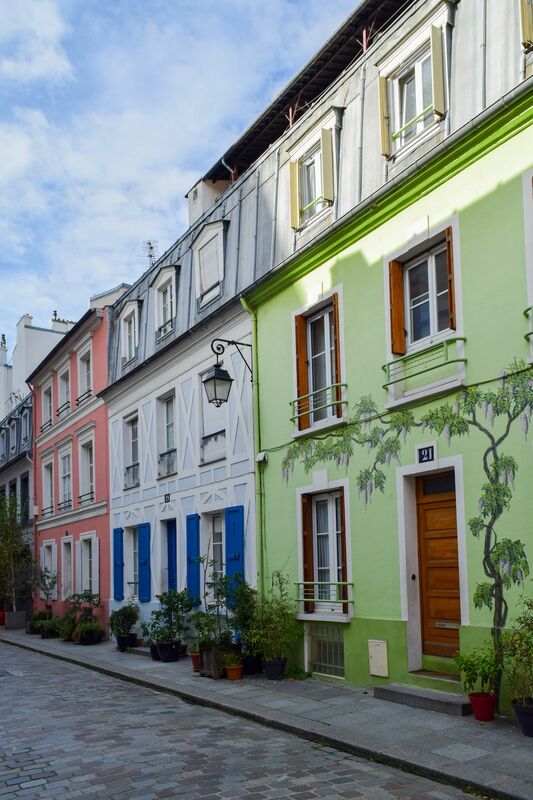 The pastel street dates back to 1865 when it was called Avenue Millaud, but just a few years later in 1897 it was changed to Rue Crémieux.